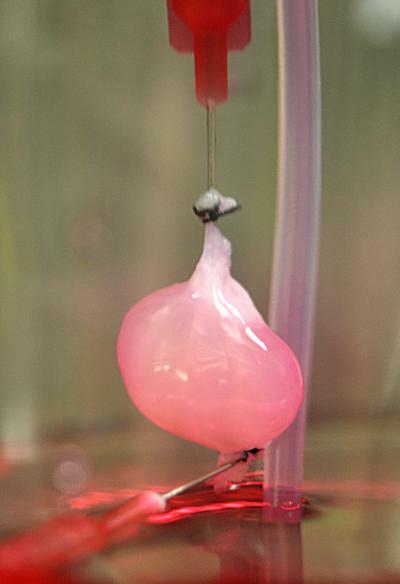 Researchers from Massachusetts General Hospital have succeeded in growing bioengineered kidneys in the lab and implanting them into rats. To create the functioning organs, they began by using a detergent solution to strip rat kidneys of their existing cells. This resulted in a collagen scaffold, where a variety of cell types were delicately introduced to the appropriate areas within the kidney structure, and allowed to grow in conditions simulating that of a living body. The mature kidneys were then transplanted into rats, where they began producing urine right after implantation. Though they did not perform as well as healthy kidneys, the researchers believe that one day, this technique could be used to regenerate human kidneys, using a patient’s own cells and avoiding the need for harmful immunosuppressant drugs. kidney transplants, organ regeneration. Bookmark.